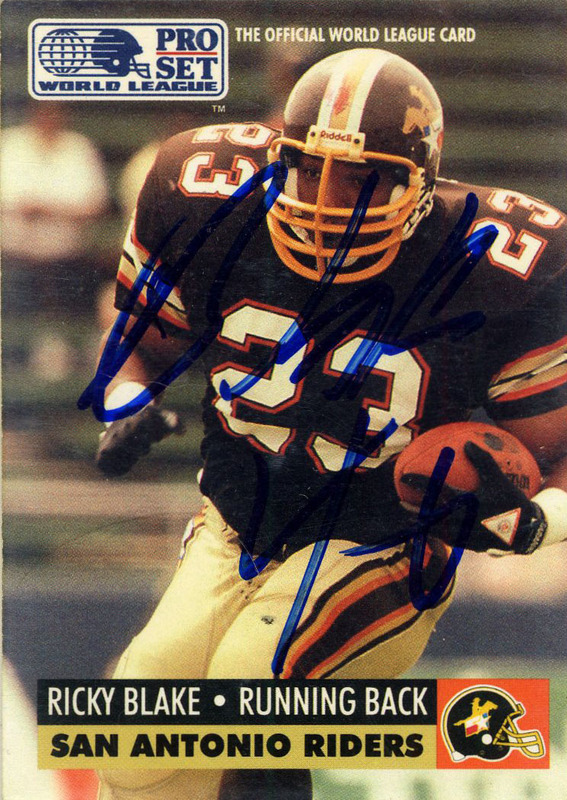 Ricky Blake was an All-Pro WLAF Prospect when he made the jump from the San Antonio Riders to the Dallas Cowboys in the NFL after he ranked third in the league with 554 yards. 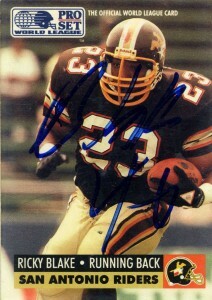 A bruising fullback with deceptive speed Blake was not drafted out of Alabama A&M. Instead he did some time in the CFL and then took a year off before being drafted by San Antonio. (Ricky also wore one of the WLAF’s experimental helmet cameras against the London Monarchs that year.) Blake made the transition to the NFL shortly thereafter being signed by the Dallas Cowboys where I got his autograph that next year in 1992, signing with his Dallas #(46). 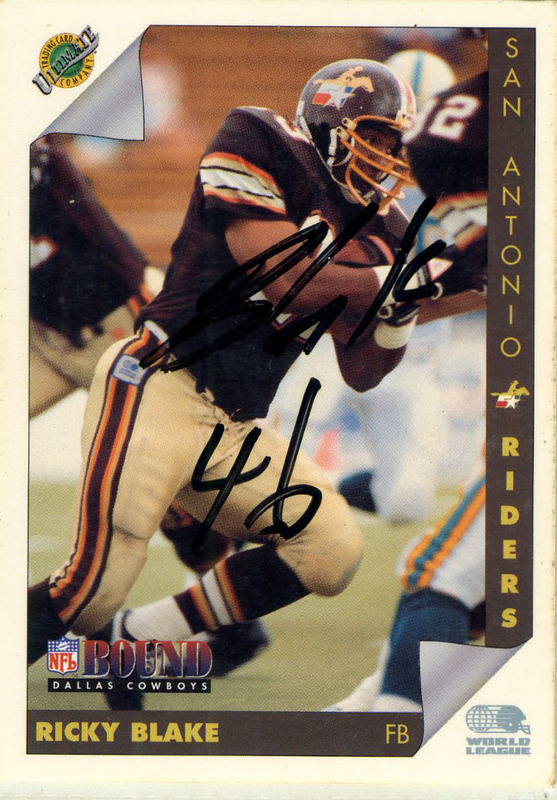 (It is commonly mistaken that he returned to the Riders in 1992 but Ivory Lee Brown had taken over for him in SA.) Ricky started out with a bang in ’91, then was injured after 2 games on a long run against Phoenix and never played again for the Cowboys, sustaining a hip pointer much like the one that ended Bo Jackson’s career. Blake however would return to play for the Fort Worth Arena league team in 1994, notching 12 yards on 4 carries and one tackle that year. Later then he was picked up by the Barcelona Dragons of the newly reconstituted NLFE in 1995, playing for one season, rushing for 398 yards on 98 carries before retiring.